‘There is no oak left’: are Britain’s trees disappearing? NOTE: Thank you to The Guardian for the article! NOTE: Thank you to the Smithsonian Magazine and The Witches’ Voice for this article! NOTE: Thank you to the BBC and The Witches’ Voice for this article! Imagine walking into a forest where you are greeted by many old tree friends, each members of different families that form a community. You know their common names, their less common names, and the secret names that have taught you. You know their medicine, how they can be used, even some of their stories and songs. They rustle their leaves in joy as you continue to walk. The movement of their branches is music in your ears, the sound of the leaves a song, playing in your mind. Their medicine and magic is open before you. 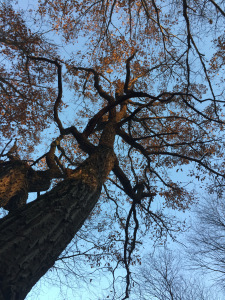 And yet, you realize how much more you have to learn, to know, and realize that this process –the process of reconnecting to the medicine and magic of the trees–will take more than one lifetime to complete. This is the power of establishing deep connections with the trees.